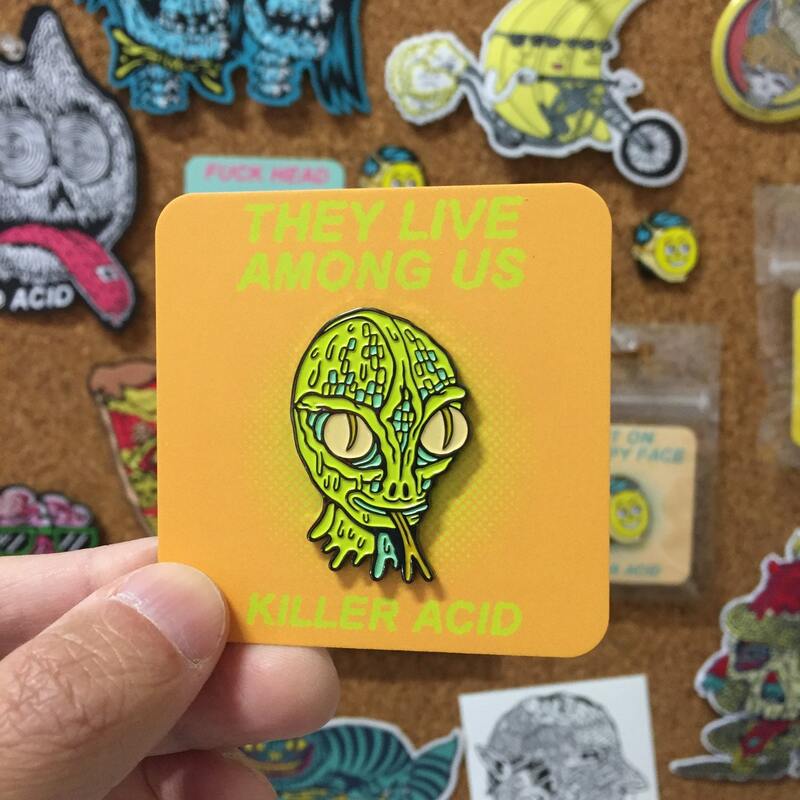 They Live Among Us 1.5" soft enamel pin by Killer Acid. Glitter with epoxy finish. The backing got stuck unfortunately, but once I forced it open, I had no more problems. 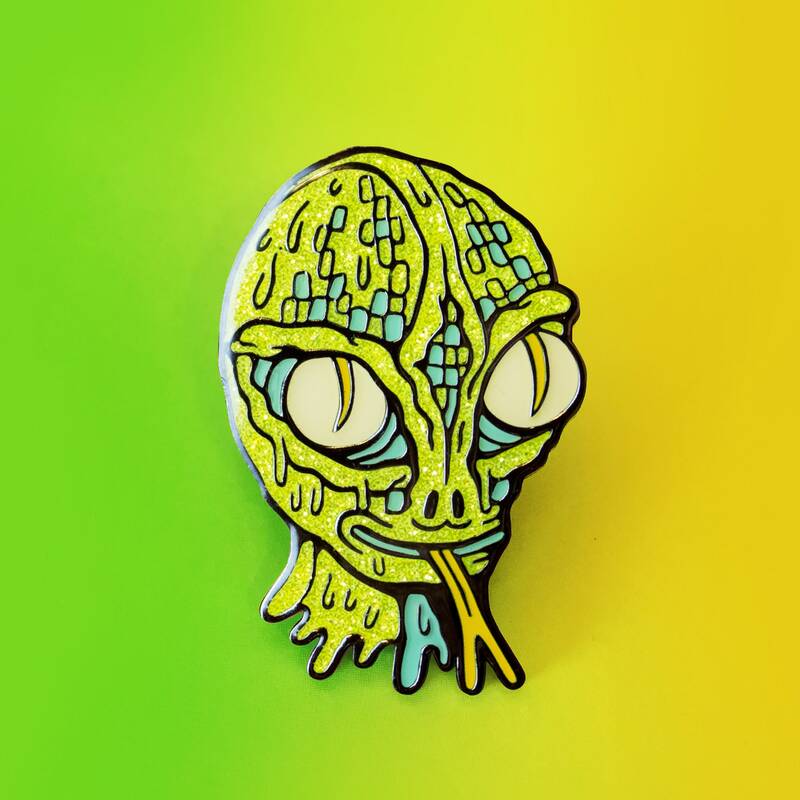 I love this shop so much. Glitter is very sparkly and looks great under epoxy coating.